Since I specialize in making skin look more beautiful, many of my clients ask me what they should do at home to help their skin look healthier. Although everyone is different, I usually recommend an easy AM and PM skin care routine. One of the most common mistakes made with skin care is doing too much. Skin is a delicate part of your body, and it needs to be treated with gentle care. Rubbing the face vigorously and putting harsh chemicals on it will only make it look dry and lifeless. It’s important to use simple cleansers, moisturizers, and sunscreen. When placing these products on your face, be sure to use just the tips of your fingers and apply the product gently. The skin exfoliates itself naturally, so there is no need to scrub the skin, or place any harsh exfoliating chemicals on it daily. The best skin care routine for most people is to wash and moisturize in the morning and at night. Simple, effective, and beautifying. Start by splashing water on the face. Use a dime-sized amount of gentle cleanser on the tips of your fingers and cleanse the face using small, gentle, circular motions. To dry, pat the face gently to remove excessive water with a soft towel. Do not rub your face with the towel or it can dry out your skin. The reason for this is because a dry towel can strip your skin of its natural oils. Apply moisturizer to your damp skin. This will help your skin lock in the water on the surface of the skin and help the moisturizer to be absorbed more evenly. Once the moisturizer is absorbed, apply sunscreen to protect your skin from sun damage. Reapply sunscreen throughout the day if you sweat or go swimming. The face is exposed to many pollutants throughout the day, which can lead to many skin conditions, including redness and flaking or fine lines and wrinkles. Before bed, use micellar water to remove makeup from your eyes and face. Remember to use gentle pressure with no scrubbing. Simply place it on your face and allow it to break down the makeup, then wipe clean with a soft cloth. Wet the face and use gentle cleanser to wash the face as you did in the morning. Apply moisturizer to damp skin. You can use a vitamin C serum or retinoid product (if prescribed by your skin care professional) to help repair skin damage from pollution and sun exposure. That is all you need to do to care for your skin. Much more than this, you could be sabotaging the health of your skin. Even with the best skin care routine, eventually fine lines and wrinkles will appear as a result of the aging process. A great way to smooth those away and keep them from reappearing is to start using BOTOX®. This FDA approved facial muscle relaxer smooths away fine lines and wrinkles on the face. For more information, click here. 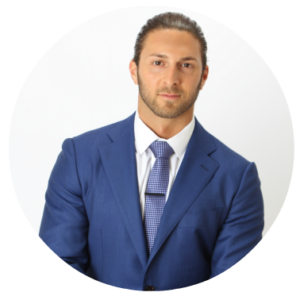 James Christian Sardelli, RPA-C provides effective aesthetic solutions such as BOTOX, dermal fillers, Vampire Facelift, Dermapen, and more. Click here to send him a message or contact him at 1-844-iBOTOX-NOW Monday – Friday from 9 AM to 5 PM. You can also contact his Cosmetic Concierge line 24/7 by texting or calling (917) 860-3113. James Christian Cosmetics serves the Suffolk and Nassau County areas of Long Island and beyond, including Islip, West Sayville, Westhampton Beach, Commack, Manhattan, Rockville Centre, Farmingdale, and Babylon Village, NY.